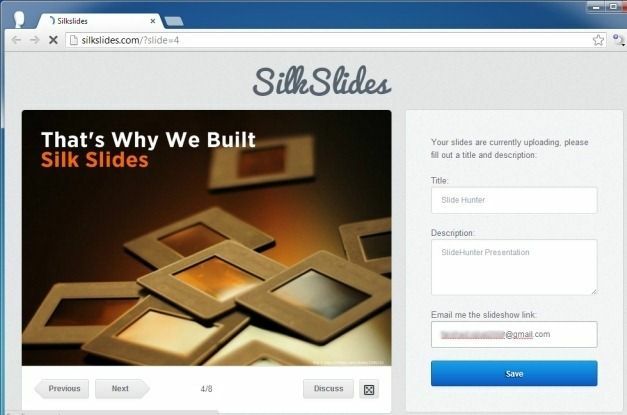 SilkSlides is a SlideOnline like web service which allows sharing PowerPoint and PDF slideshows as online presentations. 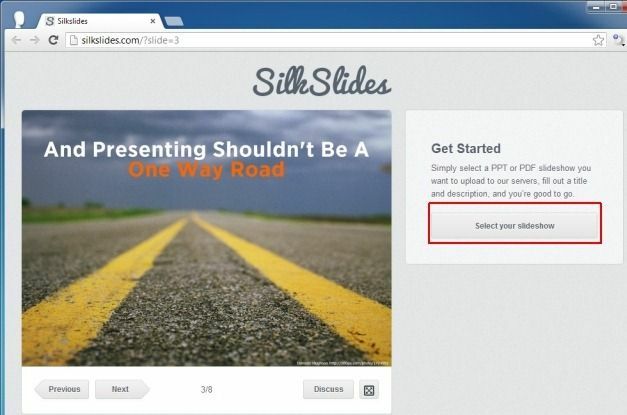 SilkSlides requires no sign up and you can instantly share your presentations by uploading a file from a supported format and entering relevant information such as the name and description of the presentation, along with your email address. This service is particularly meant for e-learning and discussions, to facilitate teachers and students to upload and discuss presentations without worrying about software compatibility issues and other types of sharing hassles. SilkSlides provides an introductory presentation on the main page which provides you with an overview of the utility of this service. 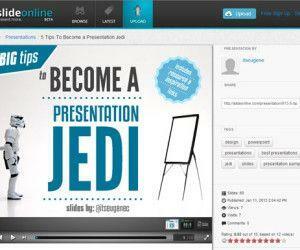 To upload your presentations, click Select Your Slideshow. This will provide you with the option to select a PDF or PowerPoint file, as well as to enter a Title and Description for the presentation. There is also a section to enter your email address so that you can be sent the sharing URL for the uploaded presentation. 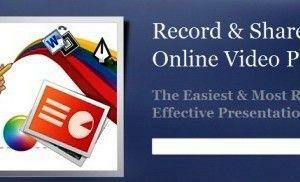 Click Save to publish your presentation online. 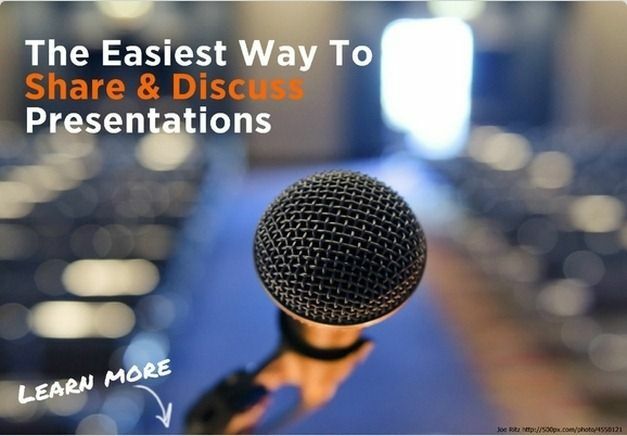 Uploaded presentations can be navigated using the Previous/Next buttons and you can leave a comment on the presentation via the Discussion option. 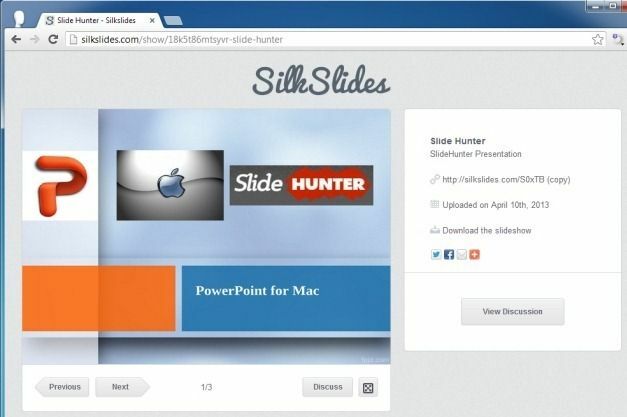 SilkSlides provides a sharing URL and the option to download the presentation. 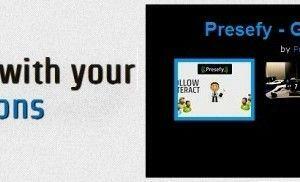 You can also use the given social media buttons for sharing the presentation. The comment section of SilkSlides can be quite useful for gathering feedback and to start a discussion regarding the contents of the presentation. Anyone can leave a comment on a presentation by entering an email address. 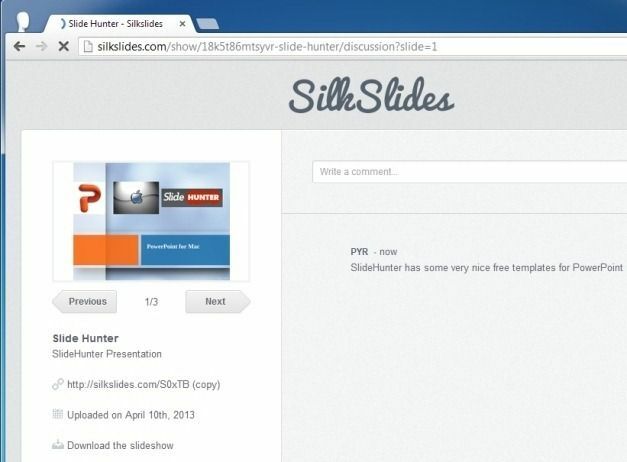 While SilkSlides is good enough for people who wish to quickly share their PDF and PowerPoint files as online presentations, it does not offer privacy related features and the fact that anyone can leave a comment without even registering with a service like Discuss or SilkSlides (itself) is quite unreliable for gathering feedback. Moreover, SilkSlides seems too rudimentary and does not have a feature which may make it standout from other common services. 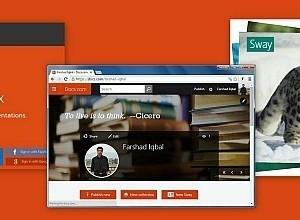 For example, SlideOnline provide extensive privacy features and the utility to also use an embed code (as well as a sharing URL) for sharing your presentations, BiteSlide provides the option to create presentations online with the help of available clipart and offers integration with services like Flickr and Google. 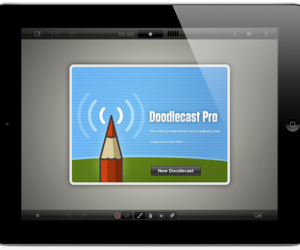 Similarly, services like HelloSlide offers audio support for presentations. 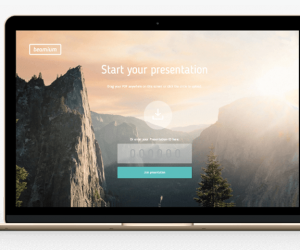 Having said that we must also bear in mind that SilkSlides was created to help users easily share presentations without worrying about size limits, compatibility issues and long chain emails. In that respect, the service acts as an easy mechanism for people to publicly share presentations online.